The Dream Event is a 90 minute dream exercise, led by Executive Coach and Dream Manager Tony Ferraro. Discover your personal dreams. Experience energy and inspiration from others’ dreams. 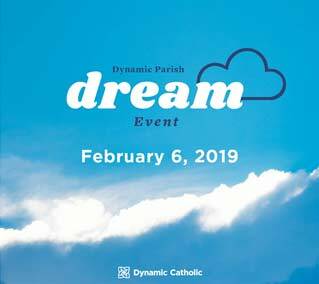 “Dream storm” powerful ideas for the future of our faith community. We need you. We hope you and your dreams will join us for this wonderful event. The Dream Event is Free. Everyone is invited.